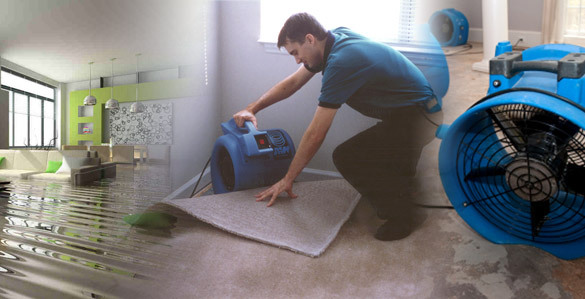 Ottawa Extreme Clean are Ottawa’s Water Damage Experts that service the local Ottawa area in the event of a water damage, sewage backup or flood. We are certified by the IICRC and have experienced teams located throughout the region that can quickly respond to any flood or water damage situation usually within an hour. Our Ottawa Water Damage team can deal with the initial water damage cleanup, full decontamination in the event of a sewer backup, full structural drying, as well as we offer pack out services for your valuables during the restoration and remediation services take place in your home. We service the Greater Ottawa Region including Ottawa South, Manotick, Barrhaven, Orleans, Blackburn Hamlet, Rockliffe, Vanier, Kanata and Nepean. We recognize that quickly arriving on site is crucial to minimizing water damage caused by water leaks, flooding or sewage. The longer the situation sits the secondary damage can occur, especially mold and bacterial growth. YOU HAVE A CHOICE ON WHO PERFORMS YOUR EMERGENCY SERVICES. WHEN YOU CHOOSE US WE WORK DIRECTLY FOR YOU, NOT YOUR INSURANCE PROVIDER. Most Insurance Companies have a contract with their “preferred vendors”. The issue with this is their contractors are working for the insurance company not you. In situations such as a major rainfall and flooding, often the preferred vendor ends up being overrun and can’t quite service everyone adequately. Another issue is they have to answer to the insurance provider and have protocols that don’t always act in the client’s best interest. Our Water Damage Ottawa team can work with all insurance carriers, and you as the insured do have the choice on who you have do the work. Once you know that you have a water intrusion situation simply call us directly so we can be on our way and then we will direct you on handling your communications with your insurance company. We can directly invoice your insurance company directly to minimize your inconvenience with the whole process. The sooner you call us, the sooner we can help prevent damage from occurring to your home or business. It can take as little as 48 hours for mold growth to start in a humid environment such as a flood. Humidity and moisture levels need to be controlled by a professional remediation company such as Ottawa Extreme Clean. With water and flood damage, the longer you wait to have remediation the more secondary damage will occur. Repair costs go up and the longer it will take to rebuild the area that needs to be removed, and treated. Damage from flooding, high humidity and moisture can compromise the structural integrity of your home or business. It can weaken your flooring, ceilings and walls. Our Ottawa Water Damage remediators are certified by the IICRC and work with all of the major Insurance Carriers in Canada. Our job is to assess the damage and restore the flood and water damage in your residence or business. Drain Backups – Heavy rainfall in the Ottawa area has accounted for many water damage situations this year. The city drains simply cannot keep up with the water flow produced. Once the drains are full, the only place available for the water to go is into your basement. This is always unexpected and causes severe damage. It is important to check that you have a sewer backup valve installed to prevent this backup from coming back into your home. Cracks in Foundations – In Ottawa being a historic city there are a lot of unique and beautiful homes, the downside to these homes is that foundations and structures do eventually crack and deteriorate. This will eventually lead to water damage. Even if a foundation is maintained properly, it only requires one small crack for water damage to occur due to infiltration. If you have an older home, you should have an inspection to make sure it is properly waterproofed with no cracks. Broken or Burst Pipes – Cold frigid winter temperatures in Ottawa make pipe bursts a very common occurrence. In the vast majority of cases, this is covered by your home insurance. That being said it is never a pleasant experience. Generally pipes are located overhead therefore water will always travel downwards and will often affect and damage many areas of your home. It’s imperative to ensure that your pipes are insulated and heat is on in the winter time. Mold is a very common result when a home or business has had a water damage incident. If water damage has not been remediated fast enough or done improperly, mold growth will surely be the result. Ottawa Water Damage Experts – Ottawa Extreme Clean are not only master water damage restorers we’re certified by the IICRC to remove and restore mold and microbial growth that has occurred. 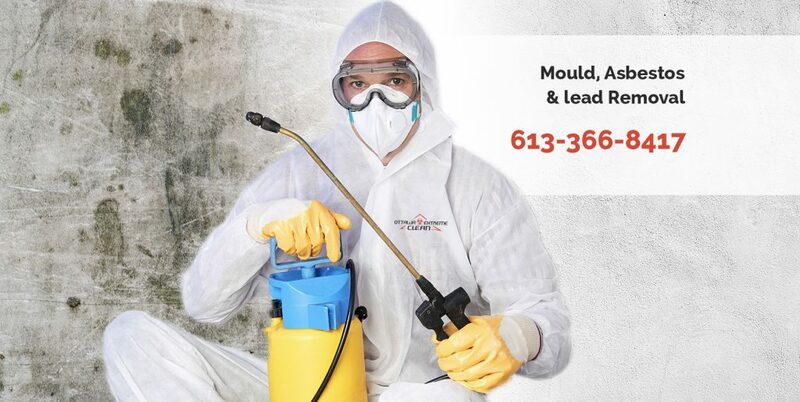 We follow and exceed all of the industry guideline both for prevention and removal of Mould. Our team of expert restorers will visit your home or business for a professional Mold inspection to help determine the source of the water infiltration or high humidity. We use cutting edge technology which includes thermal imaging to locate the source and location of water leakage. By using the the latest and most up to date equipment, it can be discovered even if it is not visible to the naked eye. If it is determined that abnormal fungal ecology is present, we will put together a plan for remediation to bring your home back to a safe and healthy living environment. Set Up Of Critical Barriers and Negative Air – All areas that have been affected must be contained and placed under negative air pressure to ensure that mold spores can’t spread. Removal of Mold Affected Materials – Once contained, all of the mold damaged and affected materials are removed and sealed in bags that are industrial strength, to prevent cross contamination of your home or property. Rebuild / Reconstruction – Once all of the affected materials and mold have been removed and the area has been cleaned, sanitized and passed a clearance test, we can offer our rebuild services to bring the damaged area back to it’s original condition or if desired it could be an opportunity to renovate. Either way, Ottawa Extreme Clean is your company! If you are in the midst of a water damage situation or have any sign of water damage occurring, please don’t wait to call! We offer a free inspection and can provide a plan of work and action on the remediation of the problem at hand. If you require immediate action, call ASAP and we can arrive within the hour! Our water and flood damage team can remove the affected and damaged materials and extract water. Structural drying can happen right away and mitigate or even eliminate any secondary damage from occurring.